An iconic man passed away on Mar. 10 at the age of 91, but his designs, influences, and mark on history should not and will not be forgotten. Hubert de Givenchy was a French designer who reached the peak of his popularity back in the 1950s. He started designing clothes when he was just 17 years old, which I thought put his age and experience into perspective. I knew his designs have been around for decades — since the Audrey Hepburn era, at least — but I was impressed to find out he lead his business for over half a century. Givenchy grew up with a family who raised him with a secondhand dream, an experience many of his followers could relate to. His parents didn’t want him to pursue fashion. Instead, they wanted him to continue their line of business. Despite familial pressure, Givenchy abandoned his family’s notary firm legacy and followed his dream to Paris, France: the fashion capital of the world. It’s hard to pull away from family, especially when they already have a plan in place for a child’s future. Luckily, his mother was supportive of his decision to move to France. He had courage I admire and a timelessness that can inspire, no matter how old someone is in their time of struggle. The young designer-to-be was living in the “war to end all wars,” but he struggled — and thrived — on his own. Givenchy reached out to legendary designer Christian Dior, who took the budding designer under his wing. Dior admired the entrepreneur’s courage but warned his pupil about the ferocity of the fashion industry. Luckily, despite this advice, the fresh designer founded a business on his own name. “Youth gives you the faculty to do things you wouldn’t do later,” Givenchy said in the documentary Monsieur Hubert De Givenchy. As Givenchy mentioned in the same documentary, it surprised me that such an accredited fashion icon was giving an inexperienced 17-year-old a push in the industry. Dior didn’t tell him to wait on his dreams, but to yield, which Givenchy took to heart. Givenchy’s lead in his career almost lasted as long as Dior’s lifespan, which is more than incredible. Givenchy built his career through a renaissance period; clients wanted their designers to clothe them as a representation of their individuality rather than the cookie-cutter styles. He faced this fashion revolution — and he was only in his twenties. His rigor is an inspiration that many young entrepreneurs can adore. “Separates” was a fashion launch that encapsulated and embraced the evolution of women’s fashion. By mixing and matching tops, bottoms, shoes and accessories, Givenchy gave his clients a sense of freedom that was once inhibited by former eras of fashion. “Separates” gave him an interesting oxymoronic trademark: intricate, architectural lines blended with materials of simplicity. Before Givenchy’s leap in fashion, the iconization of the “little black dress” was formerly credited to other legendary designers like Coco Chanel and Cristobal Balenciaga, but the movie “Breakfast at Tiffany’s” revolutionized the term. Givenchy took the concept, and re-designed it custom for an up-and-coming superstar. Playing Holly Golightly, Audrey Hepburn walked down the street with the morning sun reflecting off the rows of pearls dangling from her neck. Black gloves extended past her elbows, adjusting her oversized sunglasses and taming the strands of her elegant hair updo. As out of place as her outfit Hepburn’s attire was in the movie, each piece accommodated Givenchy’s memorable dress. The young actress set a precedent for the high-fashion girl-next-door. How to Steal A Million in particular portrayed Hepburn looking fabulous while breaking the law. Her grid-printed trench coat and matching hat hid almost every inch of her body, but Givenchy saved Hepburn from a box-like figure and made her outfit flattering with the simplest accessory: a waist-hugging belt. It was designs like these where Givenchy proved less is more. The dynamic between Givenchy and Hepburn sparked a fashion flame that cannot burn out, and it emphasized the notion that models were truly designing themselves — a concept that should have been introduced so much earlier. Hepburn’s wardrobe held a simplicity that drove the culture of change the fashion world desperately needed, branding a new name on haute couture that followed Givenchy’s business for over half a century, well past his retirement in the 90s. In Givenchy’s Spring 2018 Couture line, the majority of his successor’s dresses seemed to pay homage to the “little black dress,” but with a modern, avant garde spin. Four hopeful designers have carried the torch after Givenchy’s retreat from the fashion industry, but none have compared to the 43 years of effort the designer exerted into his work. 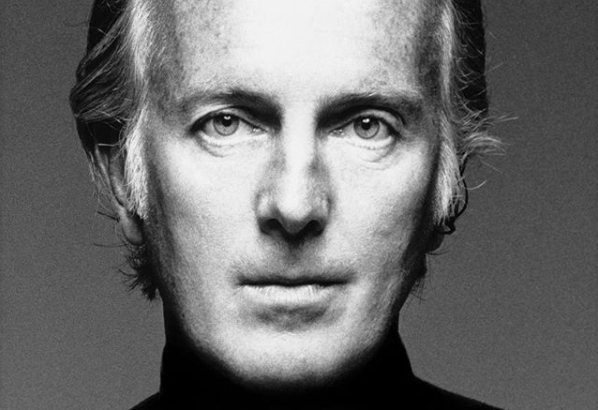 The Givenchy name will be carried on long after his death, and rightfully so.